Singapore Synchrotron Light Source (SSLS), 5 Research link, Singapore 117603. 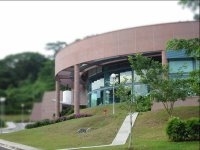 The Advanced Laboratory for Metamaterials Research located at the Singapore Synchrotron Light Source (SSLS) is dedicated to the Micro- and Nanofabrication of the Next-Generation Electromagnetic Metamaterials for the Infrared and Optical Frequencies. (i.e. terahertz range, THz and beyond).